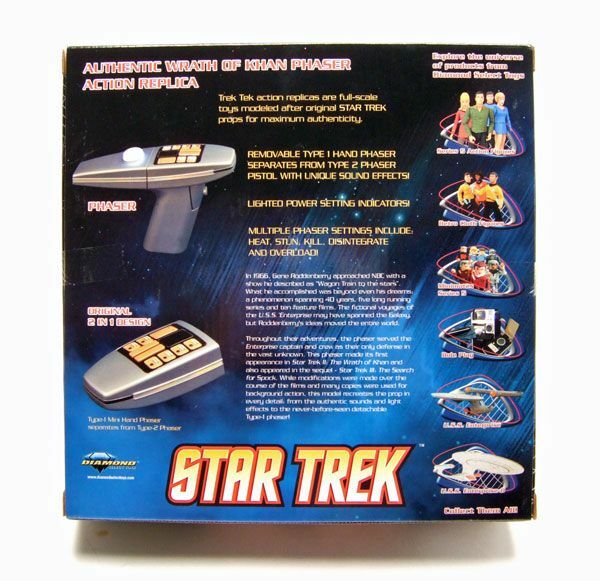 The Rundown: Man, I love the AA/ DST Trek Tek stuff. I've been pretty satisfied with just about everything they've done, excluding the problems I had with my Medical Tricorder. 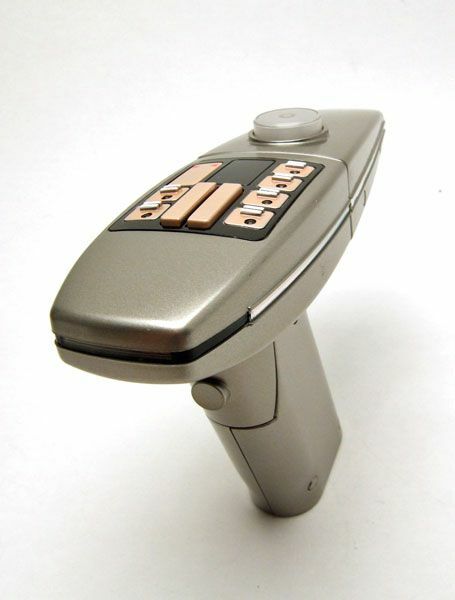 This TWOK style phaser continues the trend, and may just be my favorite Trek Tek item ever. The sculpt is great and looks very much like the movie prop. All the little details are here, from the "hologram" piping on the side to the smaller panels on the Type 1. Very nice! Speaking of the Type 1, although it's never seen doing this in the movie, it is detachable from the Type 2! 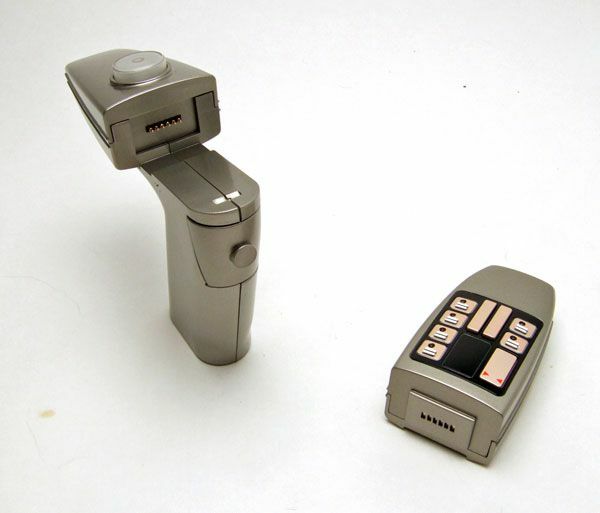 The feature works differently than the TOS phaser; instead of being attached with a simple post mechanism, DST used the same sort of magnetic featured they developed for the Enterprise D. It works incredibly well, and seems really secure when it's in place. The magnet is very strong too and actually feels like it pulls the Type 1 towards it. 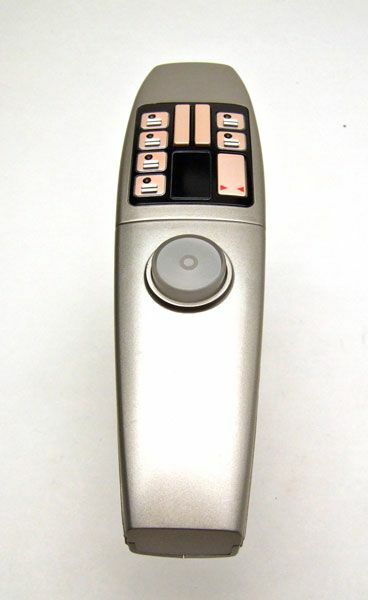 The Type 1 is what actually houses all the electronic features. It's pretty lightweight since it just runs on 3 little watch batteries. Looks great, and can fit in your pocket for those sneaky away missions! The phaser is covered in lights. 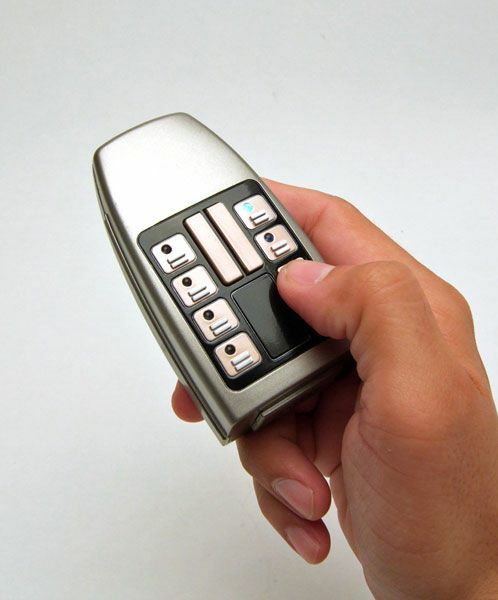 The power button lights up, the panel lights up, and the emitter area lights up. 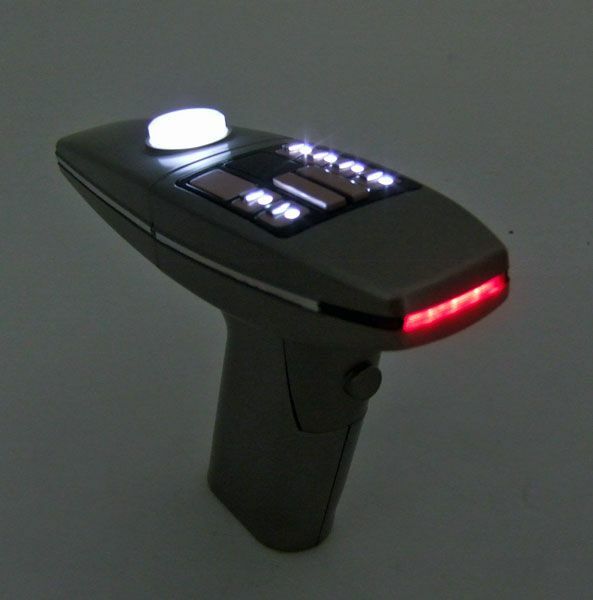 When the phaser is powered up, the lights will blink showing it is activated. 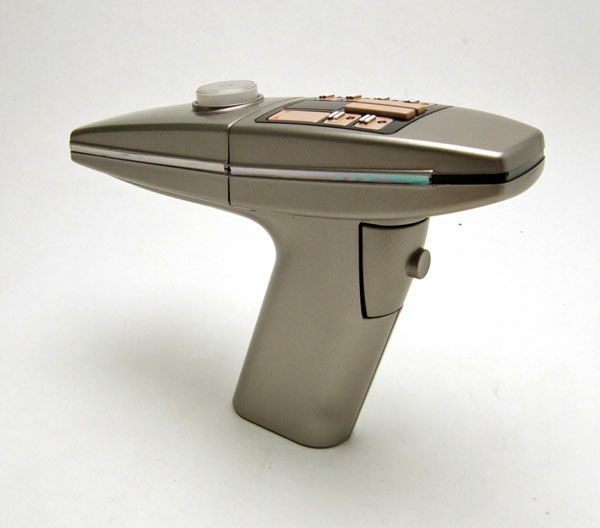 You can then shift the phaser into it's 5 different setting, with the light shifting between panels and the emitter beam changing in intensity. There's also a sound effect that plays when your Type 1 attaches to the Type 2 body. And perhaps the coolest feature of all: Press down both the Type 1 trigger and setting selector for about 5 seconds and the phaser enters "Overload" mode. Once "Overload" mode is initiated, press down on the trigger and the phaser will begin to overload, culminating in an explosion! 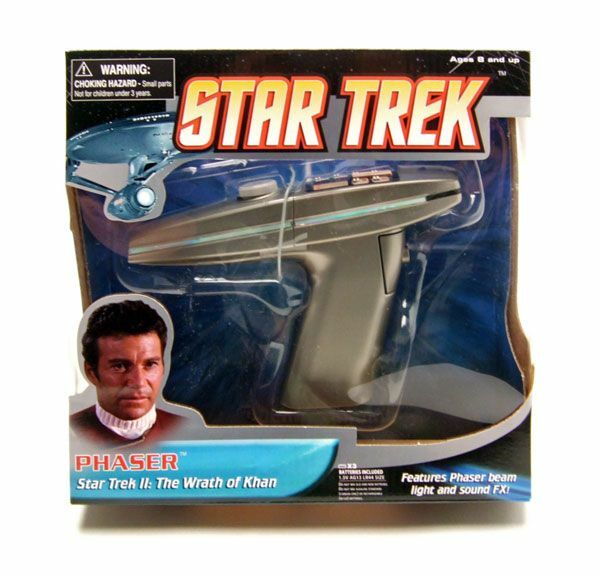 This phaser ROCKS. I really didn't expect to like it as much as I do, but this thing is just awesome. It's hitting stores now, and I seriously can't recommend it enough. It looks and feels like a prop, and the electronic features are some of DST's finest work to date. Go pick this puppy up! WOOOOOOOOOOOOOOOOOOOOOOOOOOT. This thing is unbelieveable? Are you sure it wasn't made by eFX? Lol! SOOOOOOOOOOOOOOOOOOOOOOOOOOO COOL. Thanks so much for the reveiw! !! I Love this !! This is already on my christmas list !! I'll post a review if I get one from santa !! I decide get it out while I was at the airport. !! LOL !! Bought one after reading your review and images/videos. Had a hard time deciding between the TWOK and TMP but ended up going with this one because the TMP version just looked too much like something from the Next Generation with the colored lights and the recessed buttons. It's pretty neat but have to say that DST got the lighting backwards. The emitter should be bright and the top lights should be dimmer. Maybe someone can croack one of these open and find a way to change the emitter lights to a brighter set of LEDs. Side trim needs to be replaced with a metal trim (will see about something at PepBoys or Autozone for it). Not bad for getting it for $17 on Amazon! 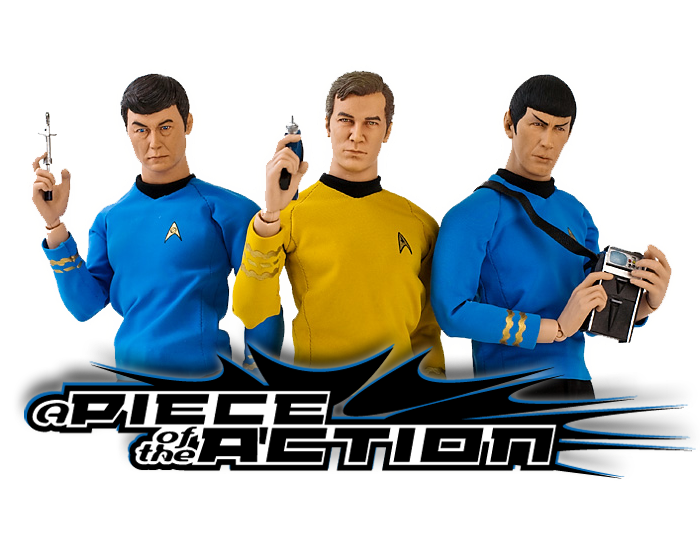 The TMP version is at $29 right now but between the two, the TWOK version is screen accurate. Improving it should be a cinch.